Futsal (Indoor soccer) - N2 Sports, Inc. The origins of Futsal (Five-a-Side Soccer) can be traced back to 1930 in Uruguay, when a five-a-side version of soccer was designed for youth competition. The game is played on basketball-sized courts without the use of sidewalls. All levels of players are welcome. 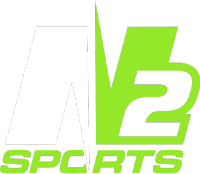 N2 Sports Futsal Leagues focus on skill development and will be "game-only leagues". Youth league players will develop their dribbling, passing and finishing techniques while building the necessary confidence to succeed in outdoor soccer. N2 Sports Futsal promises no try outs, no getting cut and no bench warmers! Basic skills of the game are developed through games and activities. Every child plays at least half of every game while making friends and learning new techniques, open to boys and girls, ages 5 to 14. We offer both a Recreational and a Upper Recreational division. A player may register as an Individual Player to be assigned in our Rec Division or as a Team Player to be placed unto our Upper Rec Division with a specific team/coach. Buddy Requests can be entered during registration. Although we attempt to accommodate as many as possible, we cannot guarantee that every buddy request will be accepted. Our divisions are Mini (ages 5-7), Minor (ages 8-10) and Major (11-14). The older divisions, Minor and Major, have a post-season tournament. All games are on Sunday afternoons to early evenings. A coach may bring his/her team into our Upper Rec Division. Upper Rec division is for 810, 11-14 year olds. Space will be limited so sign up early if you have a player interested in playing! We need parent volunteers! If you are able to coach this season please let us know upon registration. Game Time: Games are played on Sundays (after 1pm). A total of 7 games are scheduled. Practices: No team practice sessions will be held in this "games only" league. Jerseys/Equipment: Each player will be issued a reversible game jerseys and for theirs to keep. Players will provide their own shinguards, tennis shoes or indoor soccer shoes.